HomeKit is undoubtedly on the rise. 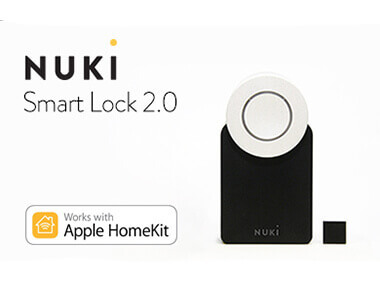 More and more smart devices – including our new Nuki Smart Lock 2.0 – are supporting Apple’s in-house smart home standard. And, up to this point, everything has worked brilliantly. However, there may be one or two parties out there looking for an alternative to Apple’s Home app. This is why you will find a varied range of options in the App Store when it comes to controlling your HomeKit devices, and we would like to introduce these options to you here. Luckily, there are several alternatives in the App Store that offer an extended range of functions, or maybe just a different layout and look. We will introduce you to various apps that represent an alternative to the pre-installed iOS « Home » app. The name Eve Systems, formerly Elgato Eve, is likely to mean something to many HomeKit fans. After all, it is one of the most well-known manufacturers of HomeKit devices, with their product range including adapter plugs, thermostats, sensors and much more. When it comes to their own devices, Eve Systems offers its own free app, called Eve for HomeKit. With the app, you can not only operate your Eve devices, but you are also able to access your entire HomeKit network. This means that devices from other manufacturers can be controlled using the Eve app. Visually speaking, « Eve for HomeKit » is definitely no slacker, and will captivate you with its colourful design. The layout and controls are sometimes slightly confusing. Ultimately, though, the free app does offer a large range of functions with many ways to automate and control your HomeKit Smart Home. You may already be familiar with iHaus, as Nuki has been compatible with it for some time now. 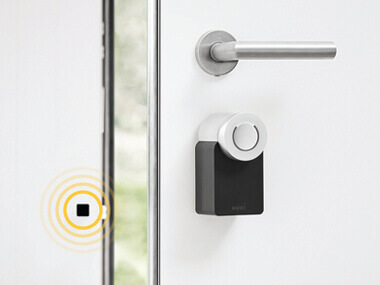 The free iHaus Smart Home app also possesses a further advantage: It works with HomeKit as well. In so doing, « iHaus » can even connect HomeKit to other IoT and KNX devices, which can also be paired with- and controlled using the app. Like Apple’s Home app, the download is free. However, some « KNX Linkit » elements are fee-based. When it comes to the visuals, the app stands out through its colourful icons set against a black background, a look some may say is very retro. LinkDesk is well-known to HomeKit connoisseurs, and not just for its Room Locator, but also for its iOS app Devices – Control for HomeKit. This can be downloaded onto iPhones, iPads and Apple Watches from the App Store free of charge. The app offers all the features supported by HomeKit. In addition, the app possesses a number of special features, such as the new AR mode, where you can see the relevant switches directly on-screen when you aim your iPhone or iPad’s camera at a HomeKit device. The term « Devices » is divided into subsections, labelled « Devices », « Groups », « Scenes » and « Triggers ». In addition to the free download, there is an optional in-app purchase that costs € 5.49 and provides you with additional triggers (location and device status). This extends your possibilities with regards to putting automation processes into place. When it comes to its visuals, the German-language app is also very impressive. 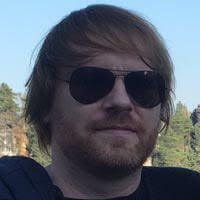 With his « Home 3 » app, the Austrian indie developer Matthias Hochgatterer is providing another alternative to Apple’s « Home ». 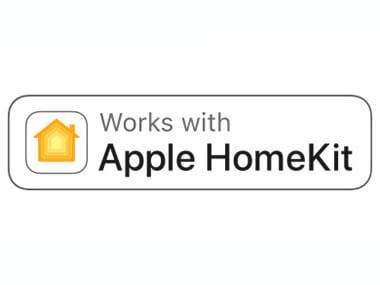 This HomeKit app is a true premium download, meaning it is free of any in-app offers. The app costs € 16.99 (once-off) to download. For your money, you get a clearly-arranged app that can be used to easily configure and control the various sensors and actuators of your HomeKit network. Quick access via widgets and the support of HomeKit cameras provide the finishing touches to this HomeKit app.